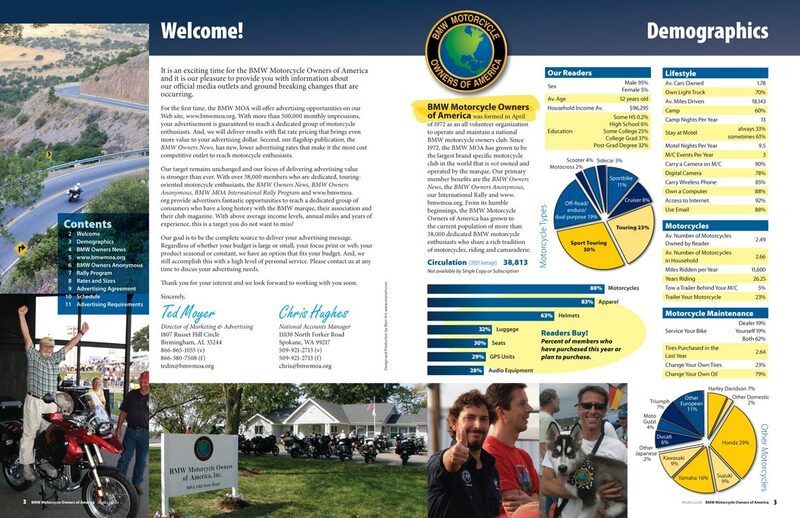 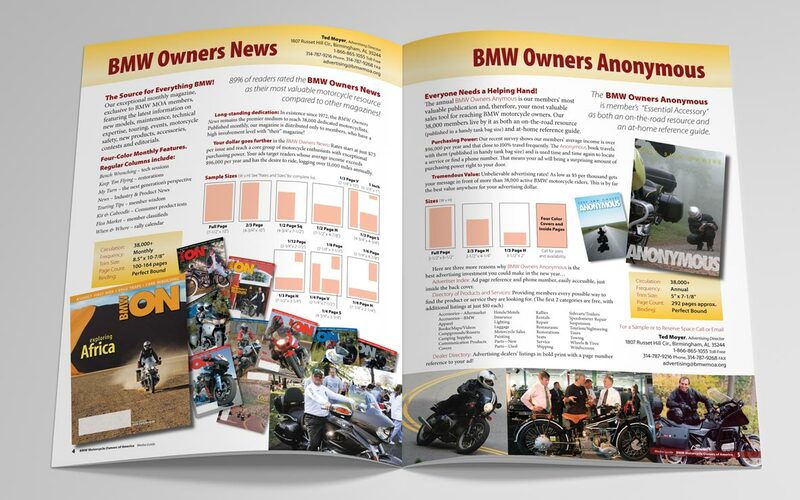 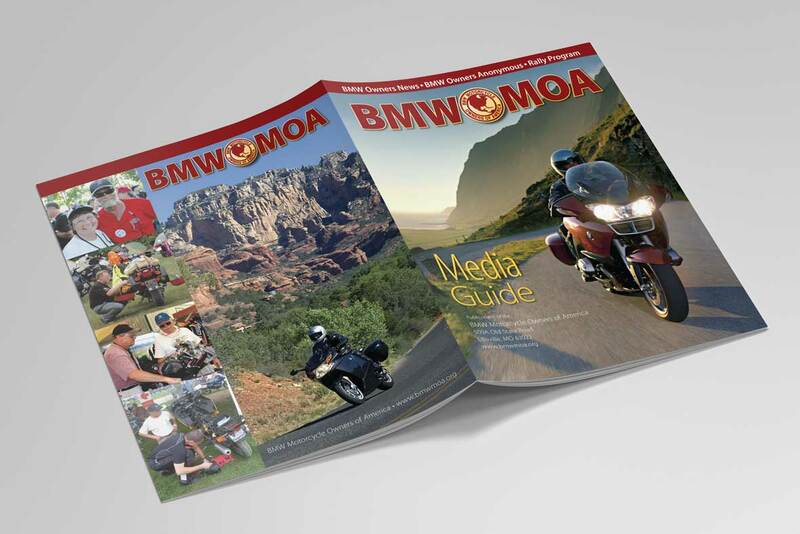 This 12 page brochure sells the various print and digital publications of the BMW Motorcycle Owners of America association to potential advertisers. As such, it needs to have a strong, professional appearance while succinctly laying out the information necessary to making a purchase decision. 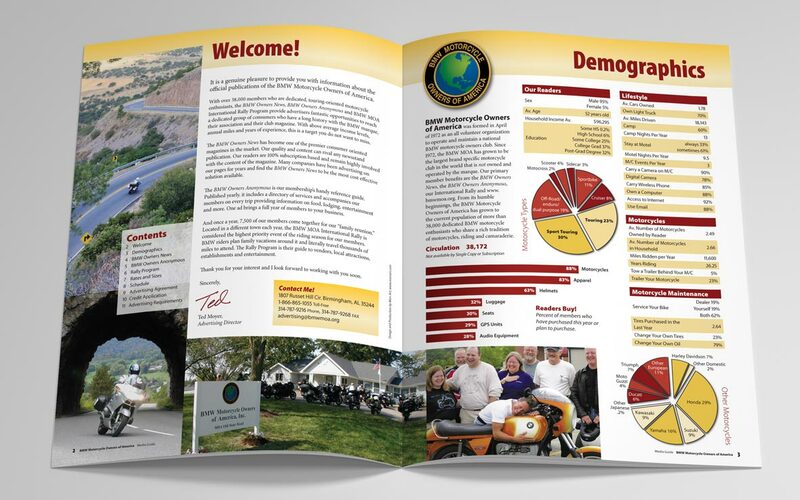 Much of that info is set as graphs, tables and boxes to grab the readers attention. 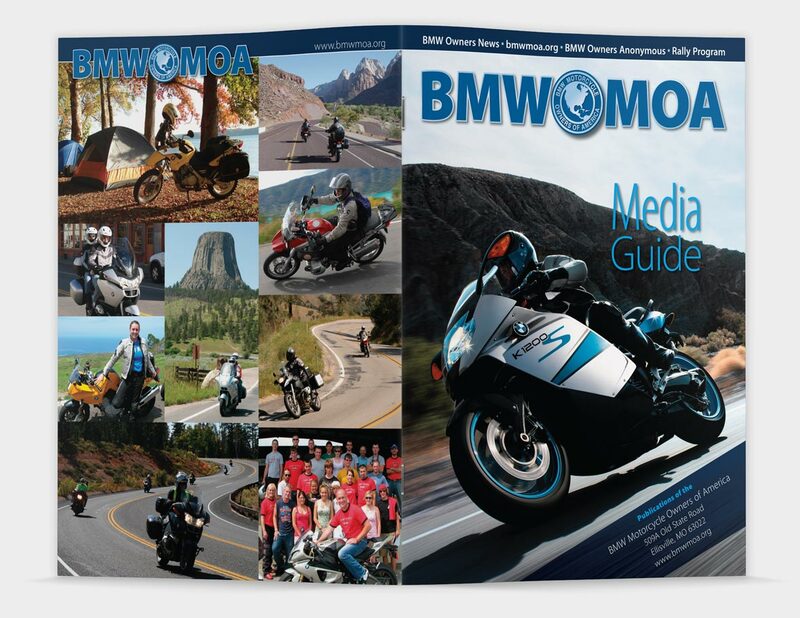 There is also plenty of technical information for when, where and how to make up the advertising which is thoughtfully presented through set-by-set instructions.